What Will Commercial Aircraft Look Like in 2050? Boeing’s 747-8 jumbo jet may represent the best of what engineers have to offer now, but Airbus has reached 40 years into future and come back with a design that barely resembles the aircraft of today. 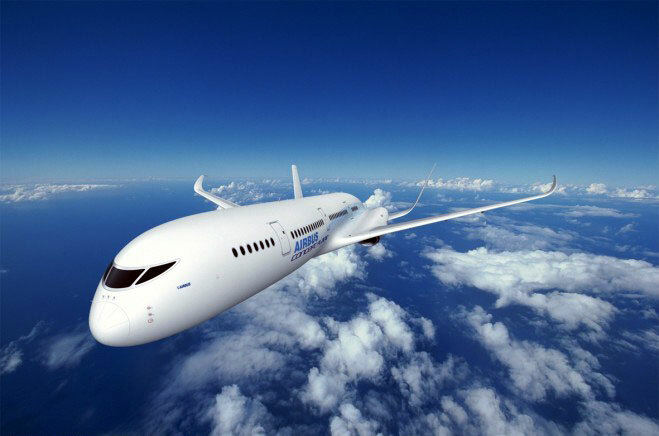 The Concept Plane, revealed this week at the U.K’s Farnborough International Airshow, is a mash-up of future aerodynamics, materials, cabin design, and engine technology. Some of the Concept Plane’s more intriguing features (courtesy of Wired): a U-shaped tail, engines wrapped up in lightweight fuselage, long wings, shape-shifting seats that adjust for maximum comfort, walls that become see-through at the touch of a button, and even holographic projections for passengers. 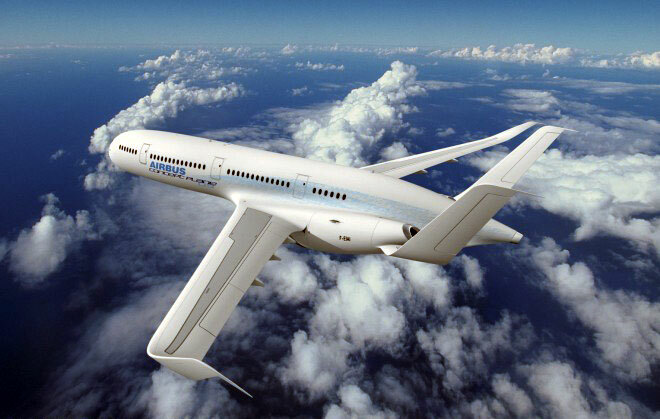 And of course, the Concept Plane incorporates alternative energy, including solar power and passenger body heat. We are clearly a long, long way from seeing anything like this roll off production lines, especially considering the turtle-like timeline of aircraft manufacturers. But it’s always fun to think about, right?